Attended by key regional employers, existing degree apprentices and civic leaders, the event shared the benefits of this new model designed to build higher level skills and support business growth. 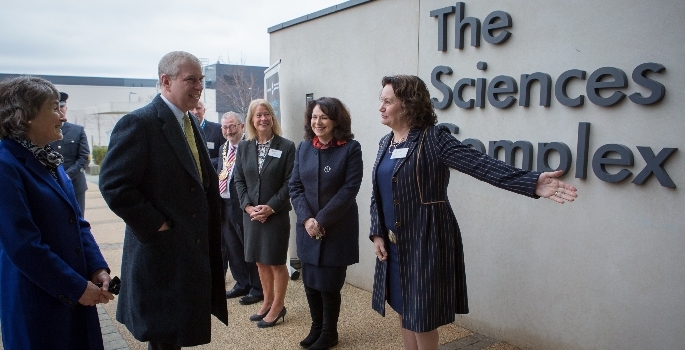 “We were honoured to welcome HRH The Duke of York to our University,” said Vice-Chancellor Shirley Atkinson. 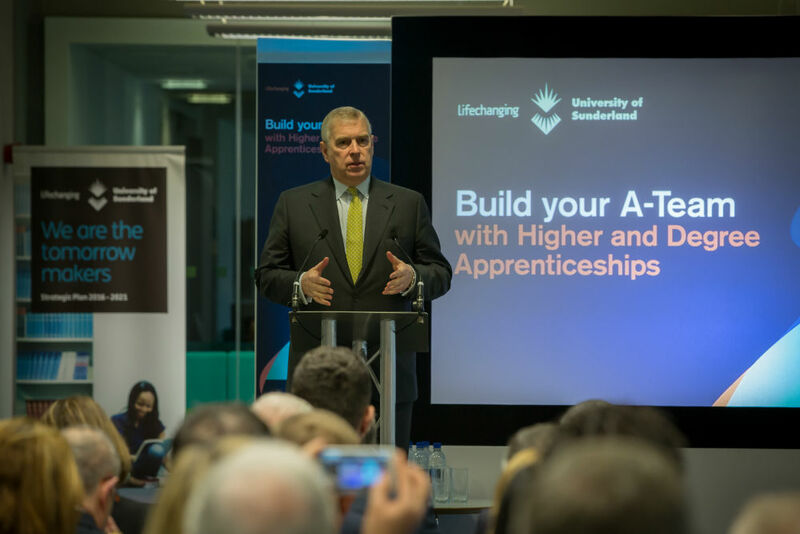 Pro Vice-Chancellor Professor John MacIntyre, who is leading the University’s Higher and Degree Apprenticeships programme presented the University’s approach and success to date to the assembled audience. He commented: “We have developed our Higher and Degree Apprenticeships by collaborating closely with employers to ensure that the programmes will deliver the skills they need in their workforce. In presentations during the launch guests learned how Higher and Degree Apprenticeships enable both large and small organisations to transform their performance by enhancing the skills of existing employees as well as attracting fresh talent, using the apprenticeship levy and government funding.